3 x 0.10 oz. Face Powders in Coralista, Hoola, and Bella Bamba. 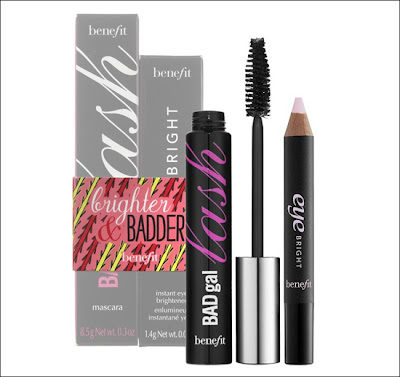 This set features Eye bright, a “nap in a stick” that revs ups eyes for a wide-awake look; and BADgal lash mascara, which pumps up the volume for the lushest-ever fringe. I'm loving all of this new Holiday 2011 Collection! Benefit has become one of my top favorite brands, I can't wait to get some of these products!